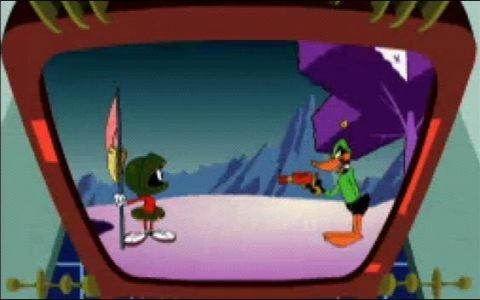 The Looney Tunes short, Duck Amuck, was built around a novel concept: a sadistic animator is given free reign over the existence of beloved character Daffy Duck. Using his pencil and paper, the animator subjects Daffy to all his crazy whims, driving the duck completely mad in the process. The short is considered one of the greatest pieces of American animation ever produced, and for good reason - it's absolutely brilliant. But when we heard that a game based on the short was being made, we were rather wary - given the track record of licensed games, we doubted the short could be done justice. So imagine our surprise when we played Duck Amuck the game and found it to be not just above average, but quite good. Description Had a stressful day? Take your rage out on Daffy Duck in this surprisingly well-made homage to a classic Looney Tunes short.